In a time when communities within the United States are so visibly divided on key social, political, and economic issues, the need for reliable stories, research, and information is tremendous. Whether through data, discourses, or literature, this information is crucial to shaping America. Meaningful debates surrounding key issues of our time, such as a climate change or the shifting demographics of urban centers, are often spurred by new research and ideas, which can also lead to solutions and even legislation. That’s why the University of California Press Foundation (UC Press Foundation) does incredible work to support the UC Press by publishing hundreds of new books every year in the hopes of equipping the public with the knowledge and facts to shape their communities. 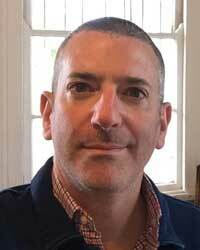 “If we can encourage independent thinking beyond CNN or Fox News, then we can all get closer to understanding one another’s view points,” says Steven Jenkins, Development Director of the UC Press Foundation, who has been with the organization for over two years. Jenkins explains that UC Press books and academic journals serve as a strong “antidote” to a sea of “alternative facts” that often infiltrate today’s important debates. “Once [the publications] are out in the world, they are helping set the tone for intelligent conversations, and we would love to believe that our books are influencing policy-making,” says Jenkins. Although the UC Press Foundation is a separate entity from the UC Press publishing organization, the two work hand-in-hand to ultimately harness the intelligence and expertise of leaders across various fields. The press produces more than 200 new books and 30 multi-issue journals and offers more than 3,000 books and journals in hard copy or digital format every year. These publications are available to students and the public across the U.S. and even around the globe. Perhaps at the heart of UC Press is the humanities, explains Jenkins, which the organization embraces because of its progressive nature. The UC Press partners with art museums and artists, for example, to create exhibition catalogs and highlights different aspects of the art world. Though many other press organizations don’t necessarily find it crucial to publish works in fields within the humanities, Jenkins explains that the humanities are key in capturing the progressive spirit of Californians that value the role art and history in the making of our communities today. For this new year, some of the organization’s most anticipated works that are hitting the shelves include books that discuss key issues that are shaping U.S. communities today, such as How to Read Protest: The Art of Organizing and Resistance; Uberland: How Algorithms Are Rewriting the Rules of Work; and Generation Priced Out: Who Gets to Live in the New Urban America. Additionally, the press is compiling a series entitled American Studies Now: Critical Histories of the Present, which delves into complexities at the intersection of politics and culture in today’s society. As the UC Press Foundation continues to support the expansion and reach of the UC Press and its publications, Jenkins explains that one of the foundation’s goals is to help make the publication process more accessible to the public through open readings with authors and events that highlight the “behind-the-scenes” process of the writing, vetting, and publishing. Jenkins explains this openness and progressive approach that the UC Press Foundation and The UC Press take on helps to create a “bedrock of certainty” for a readership that values facts. 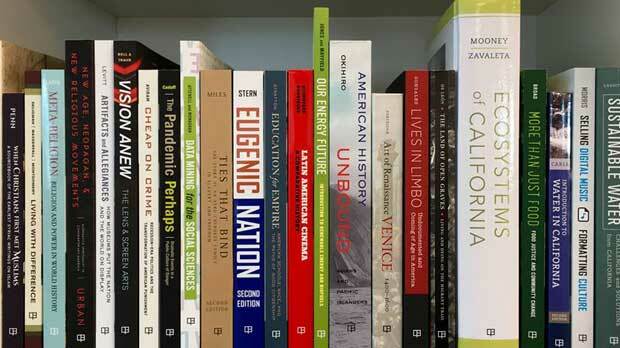 Learn more about the University of California Press Foundation and Donate.